With Stockit, all your stock records are held in a single industry standard relational database using the Access® database engine. 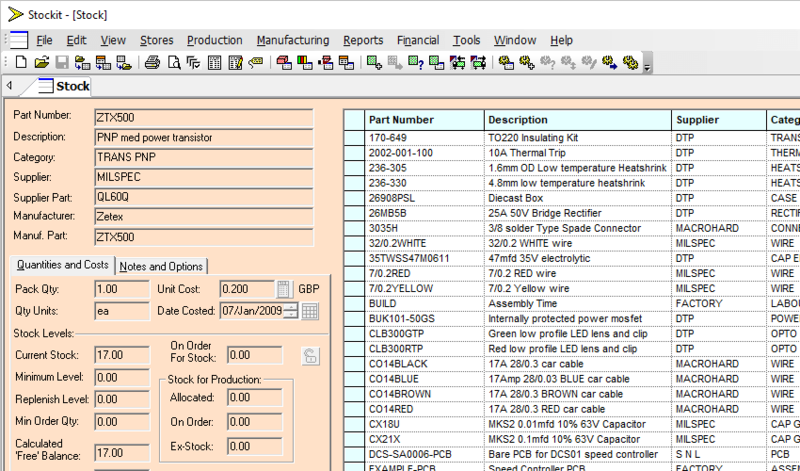 This relational database means there is a link to the assemblies and products that the parts are used in, together with full details of the suppliers from whom you obtained them. By maintaining an up-to-date cost for each part, Stockit makes it easy to determine product manufacturing costs and order values.